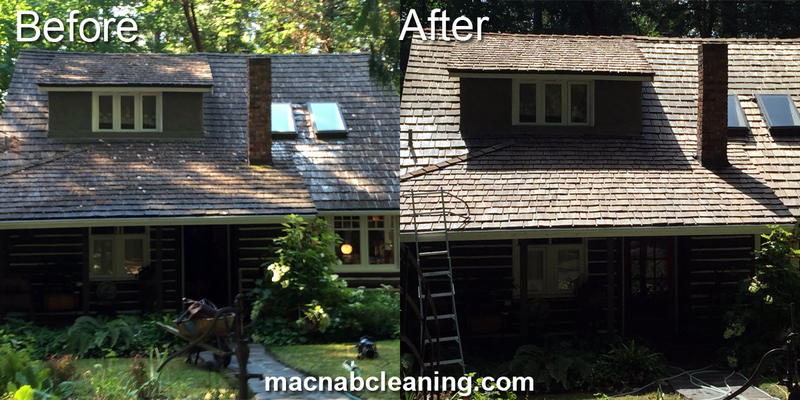 A beautiful home nestled away in a north coast forest was the perfect candidate for a cedar roof cleaning. The results speak for themselves. Moss, mold, black algae and debris built up between the shakes were treated and washed away, restoring most of the original color and condition. The resulting cleaning added years to the cedar shakes life span.